We supply highly skilled roofers, roof repairs, installations and roof maintenance across the wider London, Central London, West End London, South West London, North London, North West London, South East London, East London, Essex, Enfield, Kent, Enfield, Richmond & Twickenham and all surrounding areas to both commercial and domestic sectors. 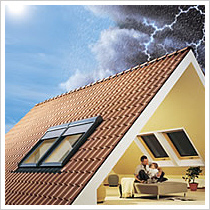 Our admin staff and qualified roofers are here to assist you. With all of your roofing problems and requirements, whether it be an issue with the entire roof construction, whether you're in need of roof repairs or just have a general roofing query, let us help you. We pride ourselves on our personal yet extremely professional approach. Our highly skilled team of roofers based in all over London are continuously commended on their professional, friendly approach and with years combined roof repair and servicing experience in commercial and residential roofing, you can be sure you and your roof are in extremely safe hands. All of our highly skilled roofers are experts in flat-roofing, tile, slate and lead work so we can plan, quote, fix and construct your roof quickly and efficiently while providing you a competitive roof repair rate. We install and maintain all types of roofing and cladding systems including standing seam systems to both commercial and domestic sectors. From emergency roof repairs to refurbishment or complete re-roofing service solutions, you can be assured of quality work from our professional roofing services team.